Hand Tools & Carving features ongoing, small carving groups that meet regularly. 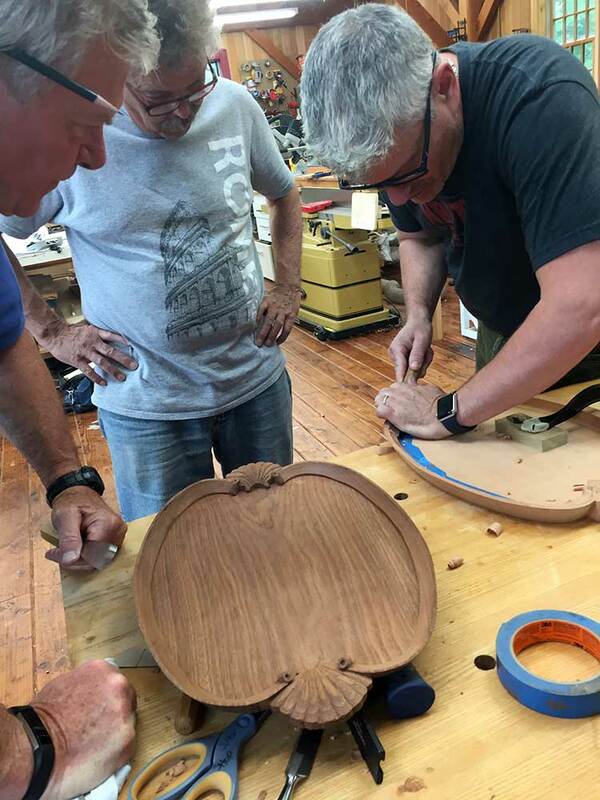 In the photo above from June 24, 2018, Mike Cyros explains a carving technique for a shell and ribbon tray to Brad Pierce (right) and Roger Blazon (center). HT&C’s most active groups meet monthly and members carve and share skills over many hours. Each group is limited by bench space at the host shop.